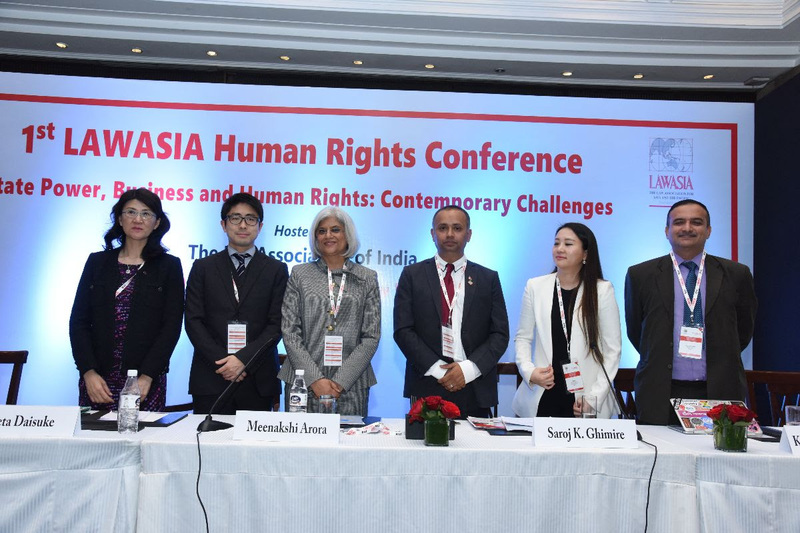 Lawyers and policy makers from several Asian countries discussed the nature of protection granted to privacy rights by laws in their respective jurisdictions in the second session of the LAWASIA Human Rights Conference held at New Delhi yesterday. The session chaired by Meenakshi Arora, Senior Advocate, explored the foreseeable impacts of technology on human rights, especially privacy rights, in the wake of threat of mass surveillance by state and big corporations. Lawyers from Hong Kong, South Korea, Japan and Nepal shared insights about the privacy protection regime in their countries. Elaborating on the law in Hong Kong was Melissa Pang, President of The Law Society of Hong Kong, who mentioned about the Hong Kong Privacy Ordinance, enacted wayback in 1995, the first of its kind in Asia. Hong Kong's Basic Law also contains important provisions for privacy, which has been used to limit vast powers of surveillance and data interception given to statutory authorities. She also discussed the use of Body Worn Cameras by the police, introduced in 2013, which raises human rights concerns. Igeta Daisuke, Director, Japan Civil Liberties Union discussed government surveillance in Japan, and the lack of judicial safeguards. He highlighted a very troubling a government programme that extensively surveils all Muslims living in the country. It collects their sensitive personal data, including which mosque they attend, and the frequency and timings to those visits. Unfortunately, the courts also endorsed this selective profiling on the grounds that it is required to prevent international terrorism. Corporates too indulge in mass data collection, and the legal system is not robust enough to address privacy concerns. Kelly Kim, General Counsel, Open Net Korea,spoke about the importance of impact litigation as a tool to promote human rights in digital age. She spoke about four lawsuits that she is pursuing in this regard. The first one concerns mandatory mobile phone registration, which she noted was violative of right to anonymous communication and privacy, and was a tool of mass surveillance for the state. Her second lawsuit is against warrantless access to user information by investigative and judicial authorities. The third lawsuit is against the monitoring of minor's smartphones through mobile based applications that are prone to misuse by hackers. Her fourth suit is against telecommunication service providers who refuse to share personal information of subscribers with them, which she noted, violates the right to access to personal information. Ghimire, Attorney, Supreme Court of Nepal,mentioned that the Nepalese Constitution guarantees the right to privacy and the legislature recently passed the Individual Data Privacy Act, 2018. Any surveillance or digital control is an exception, and must be made subject to legislative framework and judicial direction, without leaving it to the discretion of administration, he said. Uday Warnujikar, Advocate, India, highlighted the need for legal reform to protect the individual's right to privacy in light of the growing changes in technology.